This is one of my salsa obsessions. 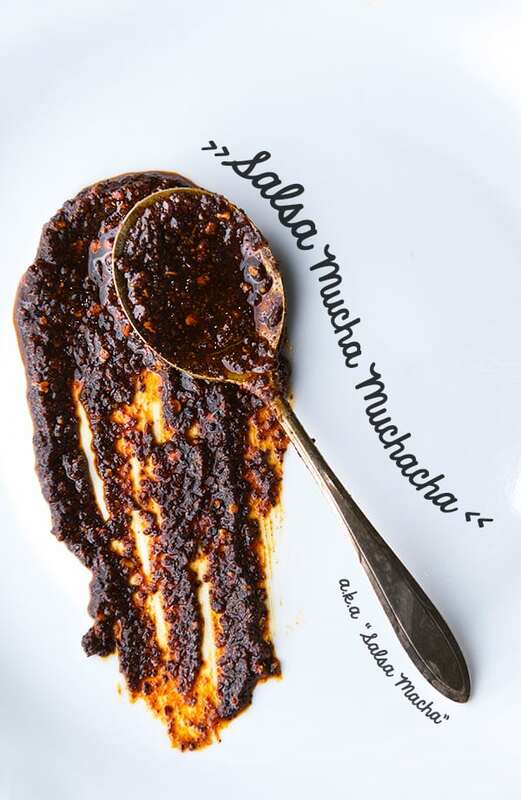 In the chile kingdom and its spice scale, this Mucha muchacha salsa has the best flavor and intensity in my opinion. Chiles are one of my dearest ingredients because by preparing them in different ways they transform and have multiple flavors and textures to offer far beyond simply spicy and hot. The level of spiciness can be tamed by the cook and by combining different chiles one can create new flavors. From smoking, toasting, roasting, frying, charring, grilling, steaming, boiling, its an endless combination that ends with a delicious result and the best accent for a meal. This salsa will make your heart sing, and speak in tongues. It seems like magic to me how with just a few ingredients you can achieve a whole lot of attitude, an incredible amount of deep of flavor, and spice. I’ve seen lots of recipes calling for way more trouble and ingredients than this one and they do not end up tasting half as good. This recipe has only four ingredients. 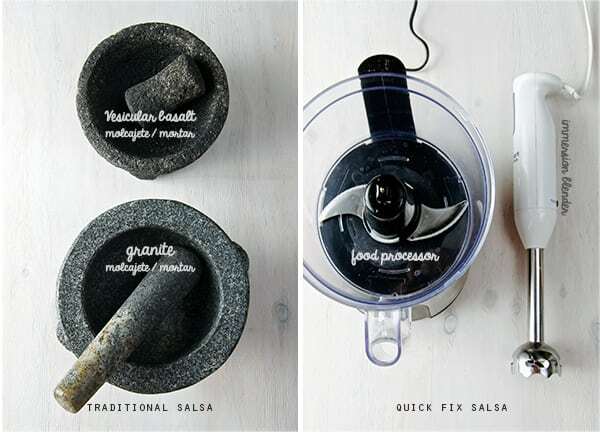 What makes this salsa dance?…It’s all about the cooking method. Slow charred tomatoes, toasted dry chiles and a lot of arm work make this salsa like no other you’ve ever had. 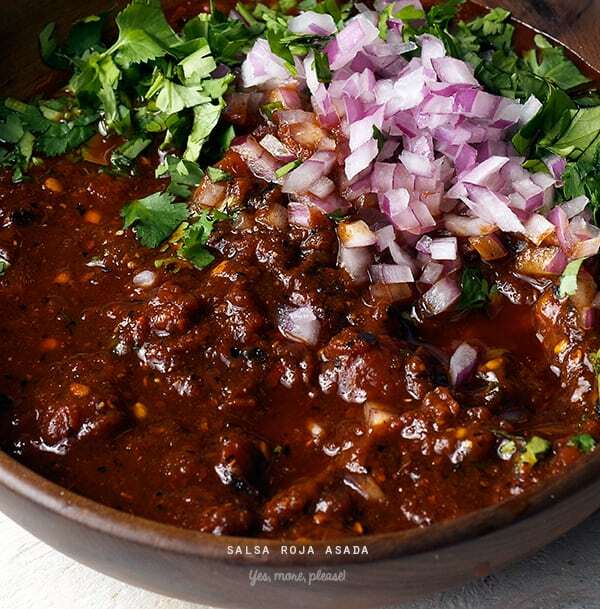 If you have the time to disconnect for a bit and make this recipe the old fashioned way, you will find the salsa bright center of the universe. What is the difference between blenders, food processors and immersion blenders versus mortars or pestles? Well its in the name. All a blender does well is as its name describes; it blends, which leaves more whole seeds in the salsa than you might wish for. Now, let’s talk about mortars-molcajetes. 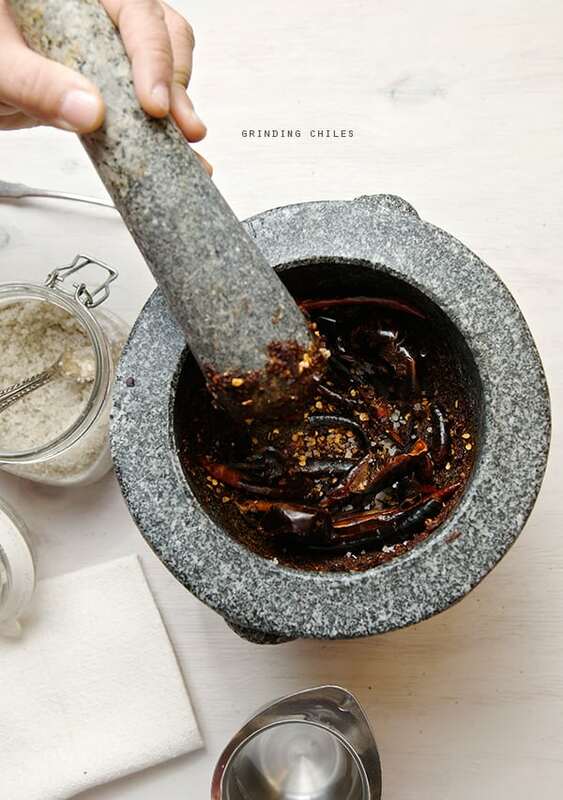 For me, there is a tremendous amount of nostalgia in using a mortar/molcajete because the act of using a stone vessel is a whole different experience in the kitchen. It relaxes me and makes me conscience of the transformation of the ingredients and therefore I savor the whole process. 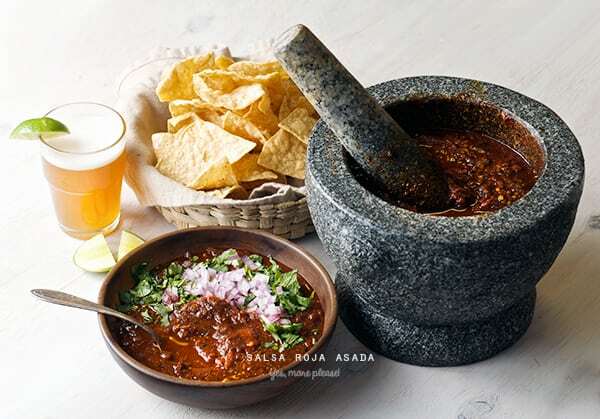 Besides the romantic aspect, the difference I see between blenders and Mortars is that mortars pulverize the seeds, as you smash them against the stone adding extra flavor to the salsa. 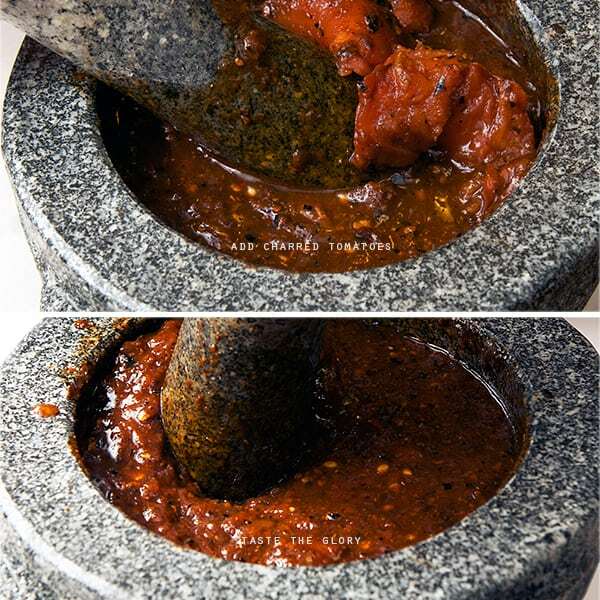 The stone adds flavor to the sauce and you are able to enjoy the earthy aromas when smashing the garlic and the sea salt, the toasted chiles, the smell of the fruity tomatoes as the consistency of the salsa changes. I would recommend you try to make the salsa this way for the simple pleasure of it. I know nowadays we all are creatures of convenience; if you are not as romantic as me about the whole traditional process~ Hey! Food processor or immersion blender are my weapons of choice. They get the job done in a fraction of a second and get you ready to enjoy the salsa in less that 5 pulses. Best of all is that with this recipe you can still achieve a great deal of flavor by using them. Flavor wise this salsa has a smokey background and medium moderate spiciness. Please don’t be scared about the amount of chiles. Dry chiles when toasted, become smokey and very pleasantly pungent. Combining these kinds of chiles balances the act. Chile de arbol brings the spicy note and chile cascabel adds deep, color and character. The charred tomatoes and the garlic make this salsa extra savory. 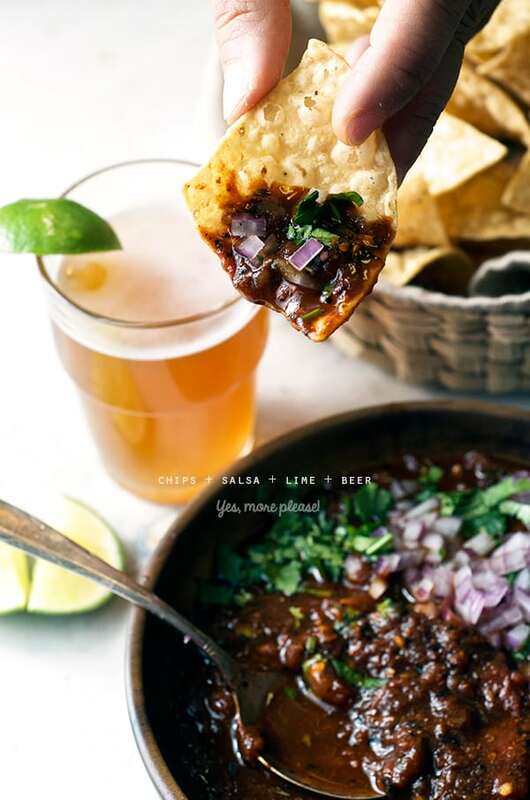 Fresh onion and chopped cilantro add a bit of fresh texture that makes the salsa irresistible to eat with chips. Despite your method of choice, I assure you this red charred salsa will make you dance. It is a staple at our house I make a batch every other week. It keeps really well in the refrigerator for up to ten days. It is quite a versatile salsa. 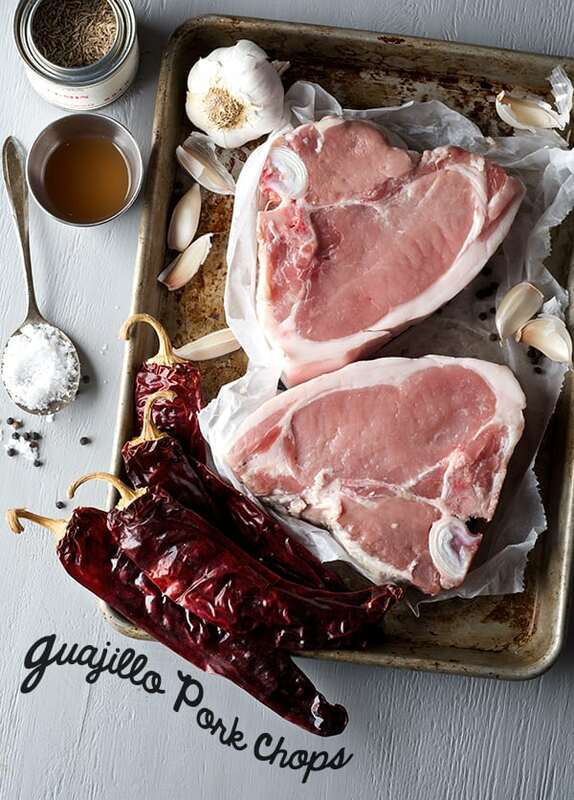 I use it to top ranchero eggs, breakfast tacos, pork loin, carne asada, beans, bean soup, shrimp, whole fish (like red snapper), and if you add more tomatoes it is a great salsa to use in chilaquiles rojos. And of course its great with chips and salsa a good pilsner beer for spicy little snack. Enjoy! 3 medium large tomatoes about 4”round is what I used. 1. 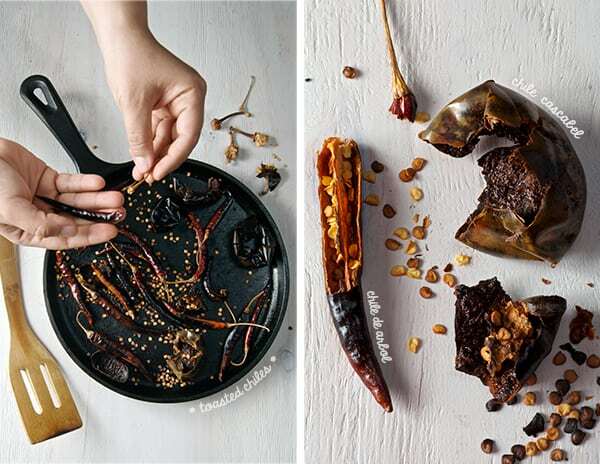 In a cast iron pan or “comal” toast the chiles at medium heat, turning them constantly using a wood paddle. Once they look evenly toasted and showing an intense dark red remove the pan from fire and let them cool a bit until easy to handle. Remove chile stems. 2. 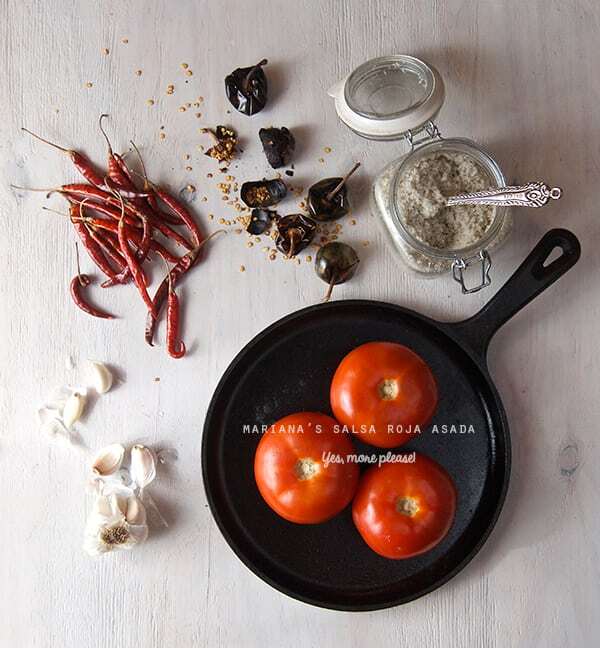 Using the same cast iron pan, place tomatoes upside down, set the heat over medium, cover them with a lid to apply some pressure on them so heat will cook them more evenly. Turn them upside up and keep rotating them until well blistered, charred skins and they look cook through. About 8-10 minutes. 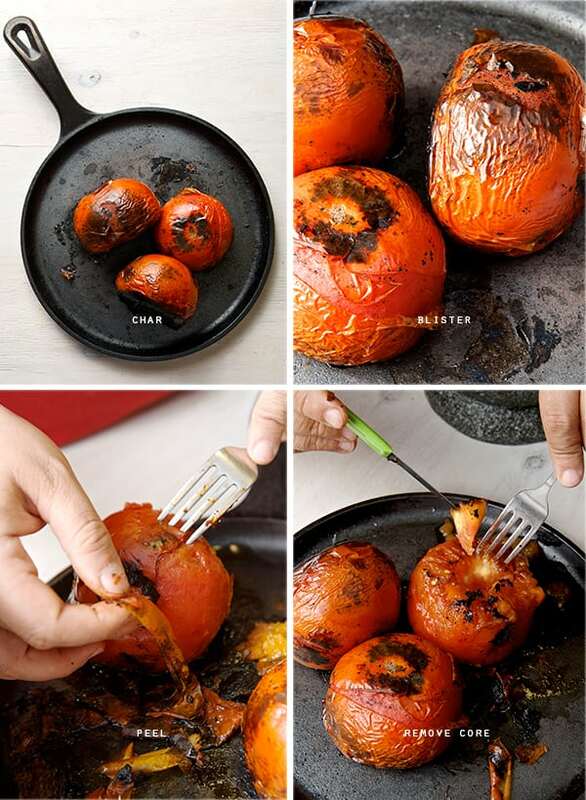 Once the tomatoes are charred and cooked set them aside until easy enough to handle. Remove skin, and with a paring knife remove the core of the tomatoes. Place tomatoes, garlic, sea salt, and toasted chiles in blender or food processor and pulse until coarsley or smooth blend. Add a little water if needed. Taste and adjust for salt if needed. 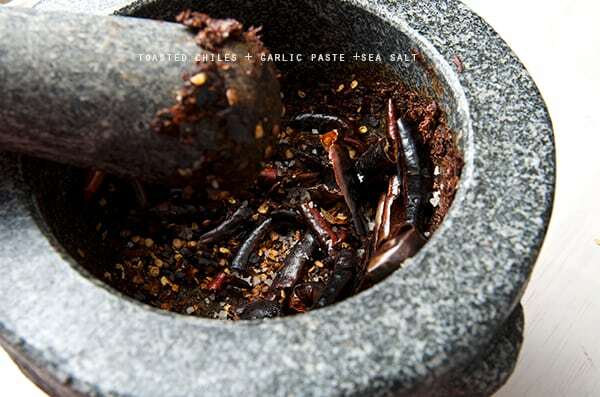 Place garlic cloves and sea salt in the mortar, smash until pureed. 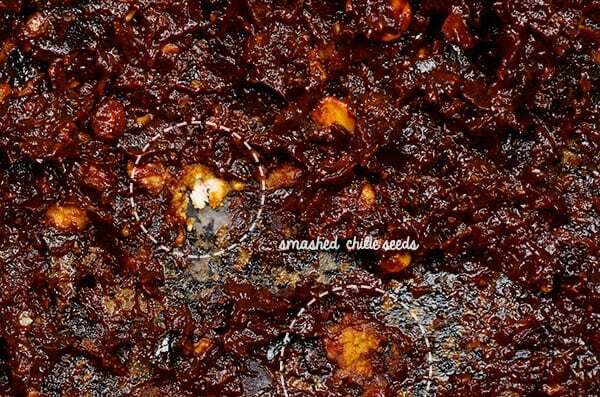 Add toasted chiles 2 at the time and smash until a coarse paste, make sure you smash almost all the chile seeds. If you need more traction add a pinch of sea salt. 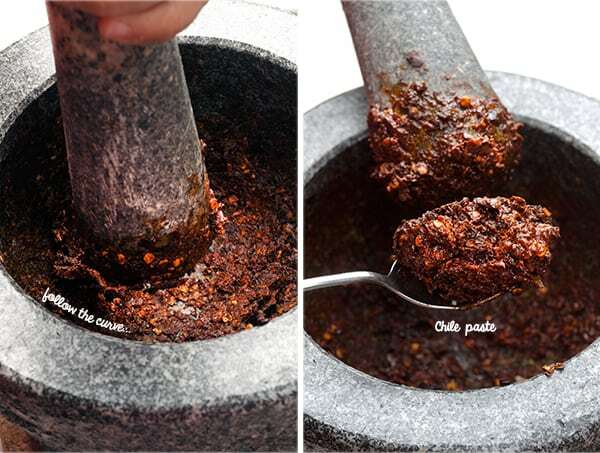 Once you have a paste, add one tomato at the time into the mortar and smash until well combined. Repeat until you add all 3 tomatoes. Taste and adjust for salt and salsa consistency. This is entirely up to you. Add a bit of water at a time, until you feel is the right consistency for you. along with chips and a nice cold beer. Eat with abandon!